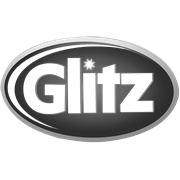 Glitz Garbage Bags are tough, durable and made with quality in mind. Great for use around the home or office, they suit 240L bins and come in a conveniently sized 10 pack of bags. 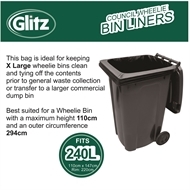 Keeps Council bin tidy - deterring ants and insects!